Fast, Scalable, Secure, Integrated, Optimized - discover the benefits of Oracle's new SPARC T4 servers and how they deliver world record performance for a wide range of enterprise applications, and offer enhanced reliability and security, improved virtualization tools and reduced costs. View this e-Book packed with valuable information, customer success stories and 3D demo. 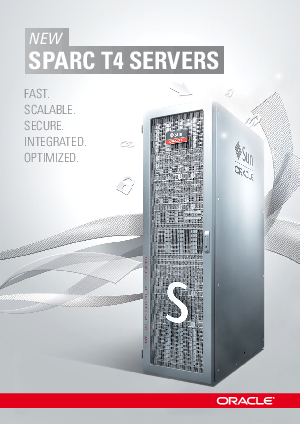 Register for the SPARC T4 Servers e-Book today.